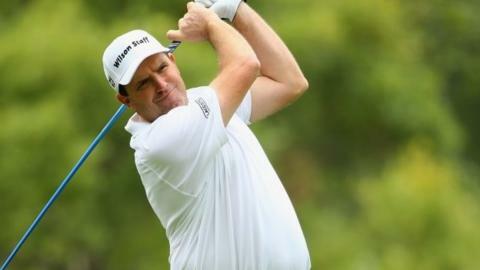 England's Anthony Wall and David Howell are among six players one shot behind first-round leader Justin Walters of South Africa at the Joburg Open. The event is being played over the East and West courses at the Royal Johannesburg and Kensington Golf Club. Walters had six birdies and an eagle in a seven-under 65 on the East Course, while Wall and Howell also had 65s but on the par-71 West course. Wales' Rhys Davies and Stuart Manley both shot 66 and are two off the lead. Three players who finish in the top 10 at the European Tour event can secure places in this year's Open Championship at Royal Troon, from 14-17 July. Former Ryder Cup winner Howell has already qualified for the Open.